Dirkou – A total of 1,000 migrants have been rescued since April of this year in northern Niger by the search and rescue operations of IOM, the UN Migration Agency. 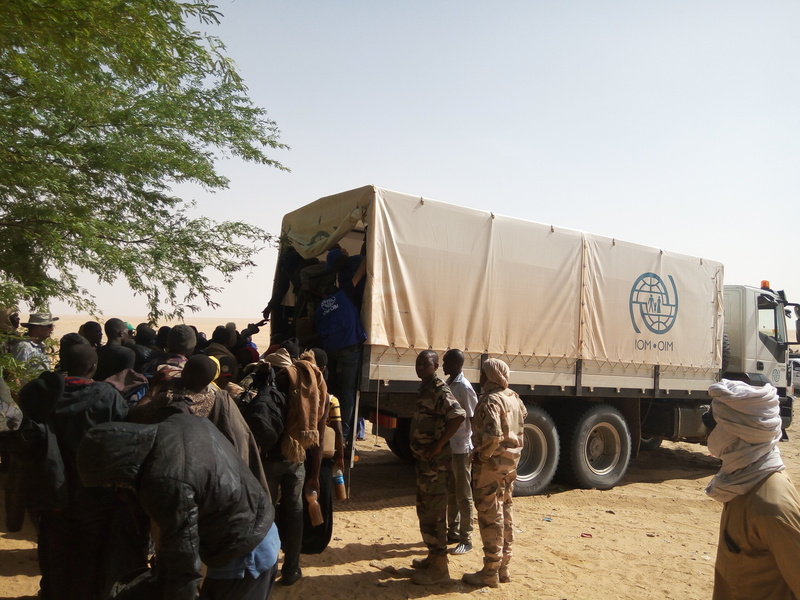 From 19-25 July, IOM conducted an assessment mission of migratory routes in the Ténéré desert and the area surrounding Niger's border with Libya. The aim of the mission was to improve migrant rescues, by understanding better how to assist migrants in distress on that route and to strengthen the Government of Niger’s management migration capacity. A full report on the mission can be read here. "I was shocked when, not far from the border between Niger and Libya in Toummo, we came across a large group of women mainly from Nigeria and Ghana sleeping in a dark hangar quite close to the border post, waiting for their next passage north," said Alberto Preato, MRRM Programme Manager at IOM Niger. “We need to better understand how trafficking and smuggling networks intersect, and to further increase our presence in these remote areas in order to provide information, assistance and alternatives to migrants in need," Preato added. During one of the latest search and rescue missions, conducted in cooperation with the Nigerien Civil Protection, IOM staff rescued 23 Gambian and Senegalese migrants who had been abandoned by their drivers, including one 7-year-old girl. While on the mission, the staff encountered some migrants they had previously met in the ghettos around Agadez. Despite being informed about the dangers and risks of irregular migration by the community mobilizers, these migrants had nevertheless decided to try their luck and headed for Libya. “I feel that I have failed them in some way, but I am happy to see they are alive,” said one IOM community mobilizer. “It’s a miracle what happened today, but I have never felt so ashamed,” said one of the survivors. “I should have listened to them; I should have never embarked on this route,” he added. 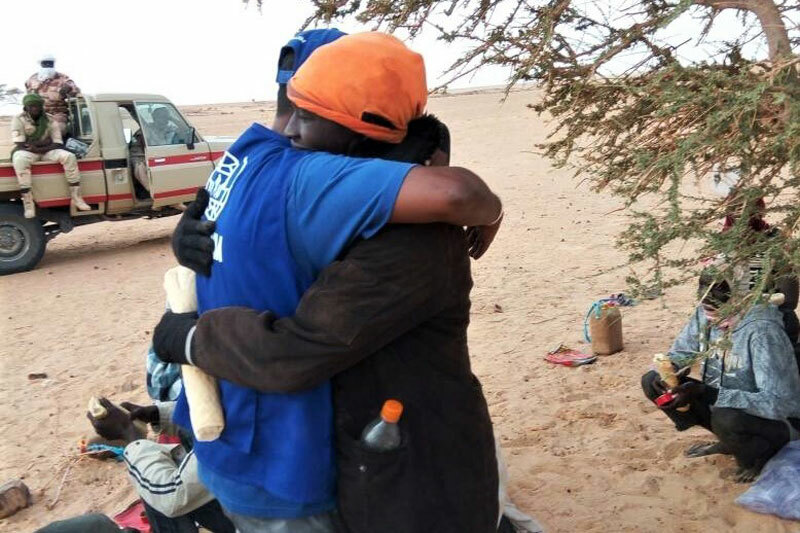 The rescued migrants are now recovering at IOM’s transit centre for migrants in Agadez as they wait for assistance to voluntarily return to their countries of origin. The initiative includes a wide range of services such as direct assistance, assisted voluntary return and reintegration. IOM aims not only continue to provide vital assistance to migrants in distress, but also to enhance community stabilization by supporting community initiatives along the migratory routes in northern Niger.